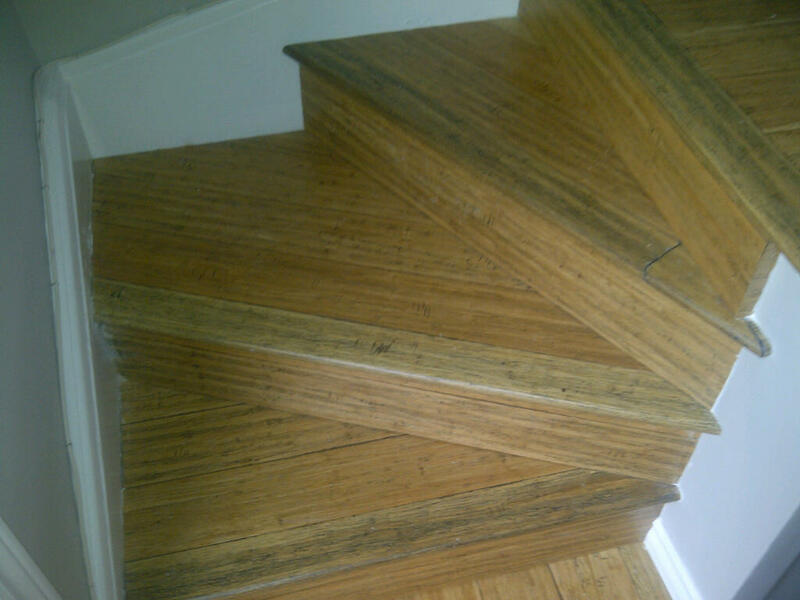 We had the pleasure of renovating two bathrooms for Colin and Susan last year, and they asked us back to upgrade their flooring on the stairs and throughout the upstairs bedrooms, from old carpet to bamboo. They made a greener choice by laying bamboo. 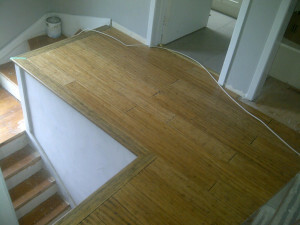 Repeat clients mean a lot to us, thanks guys. 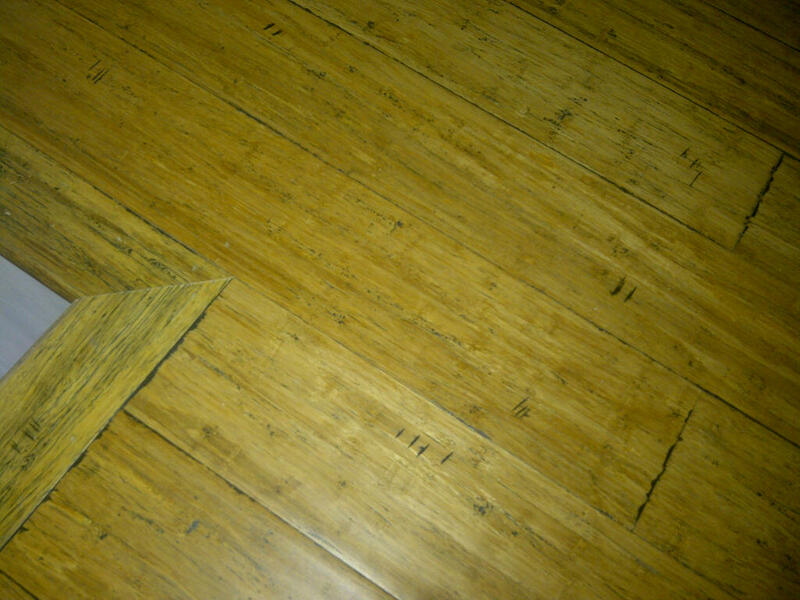 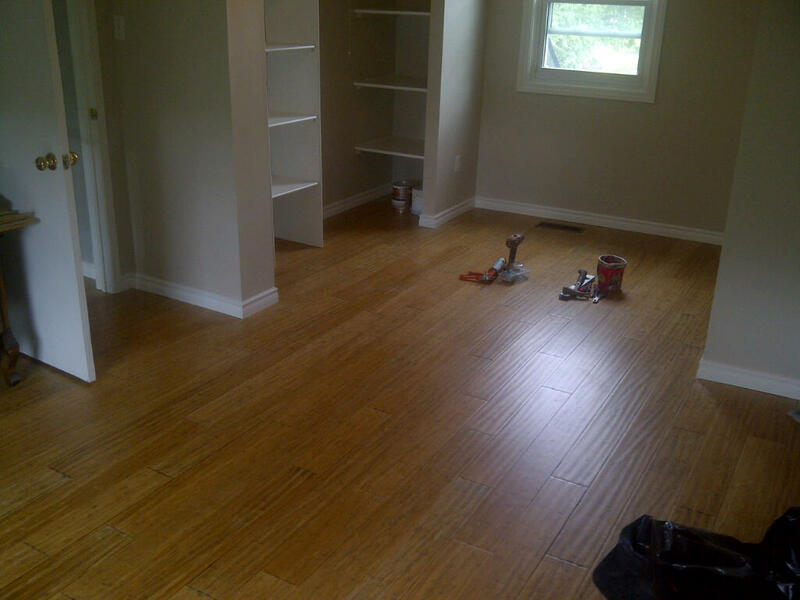 Detailed look at the new bamboo flooring. It has great ridge detail — too look warm and broken in. New bamboo flooring at the lop of the stairs. 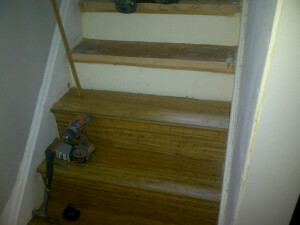 New bamboo flooring going up the stairs. 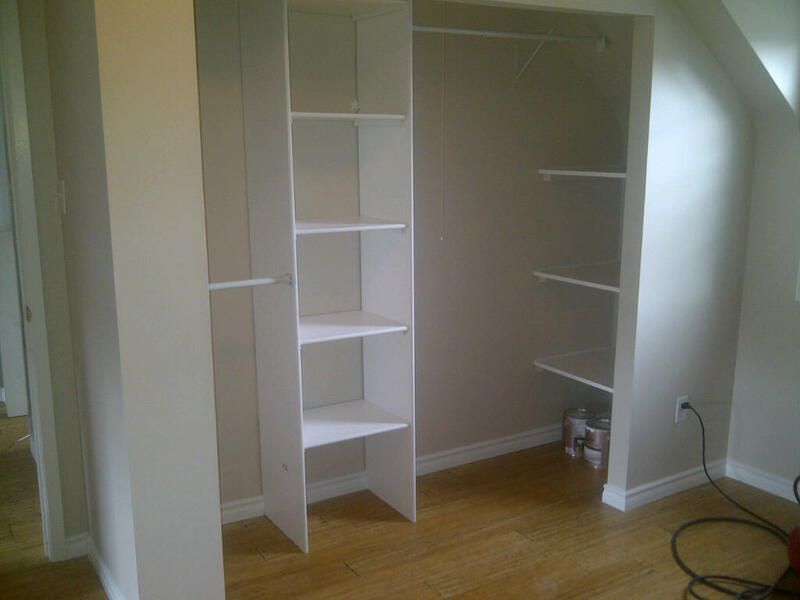 Bedroom ‘after’ with a simple custom closet that makes the most of Colin and Susan’s space. 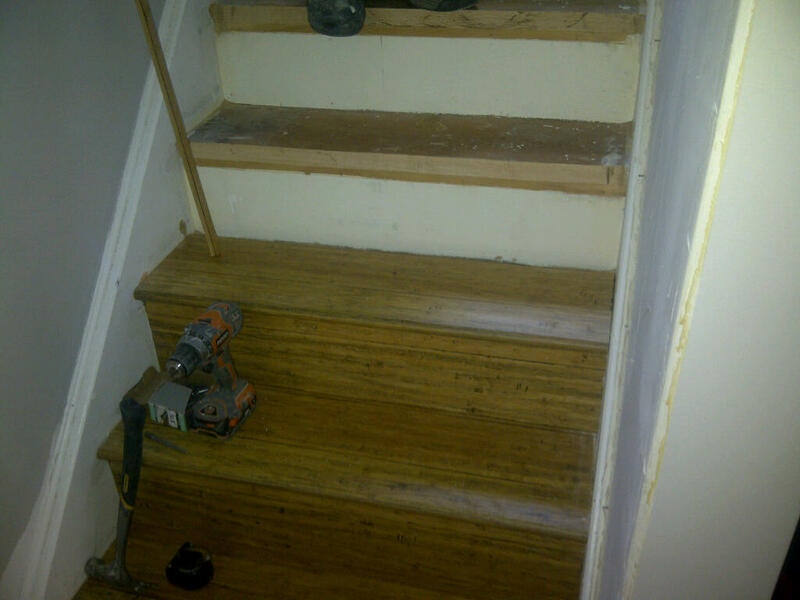 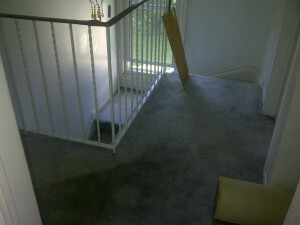 Stairs ‘after’. 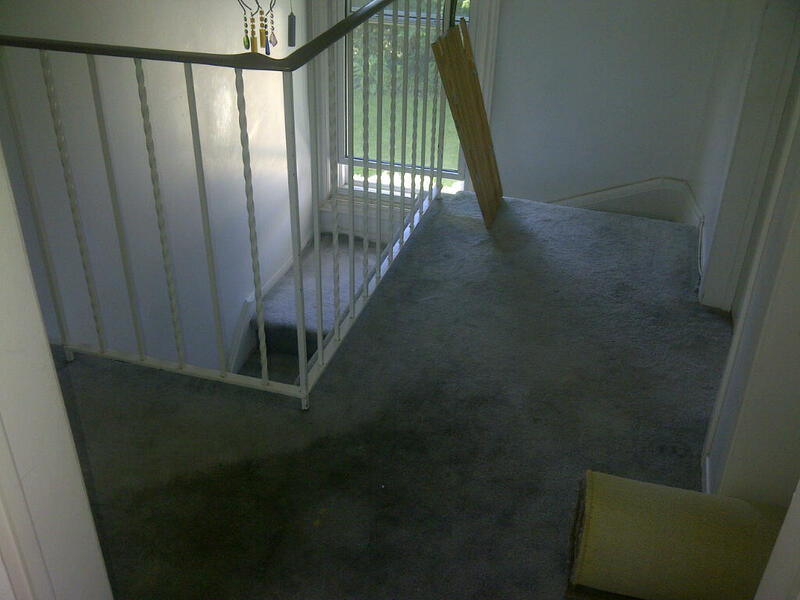 Just guess how long it took to do this corner.